A note to literally everyone: The disrespect of Meghan, Duchess of Sussex, ends today. Meghan is mere weeks from welcoming a baby with husband Prince Harry and here come the creeps — notably her ex-husband Trevor Engelson and his group of friends — who brought up Meghan over drinks recently and were foolish enough to let it get recorded for the world to see. Ugh, can you not? 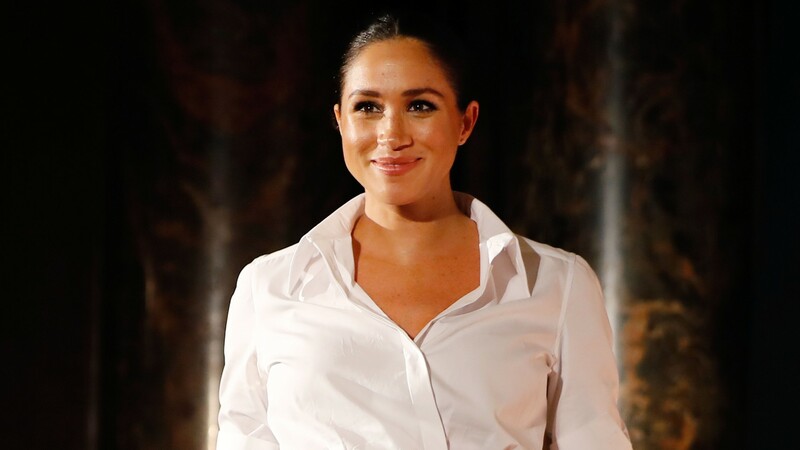 Between the tabloids hyping up a non-existent feud between her and Catherine, Duchess of Cambridge, a nonstop onslaught of negative interviews from her estranged sister and father and the British press running with the “Difficult Duchess” nickname, Meghan has had it up to here with drama she never asked for. Meghan and Engelson, a film producer, dated for seven years and were married for two before divorcing in 2013 because of irreconcilable differences. Since then, Engelson capitalized on his ex-wife’s newfound global fame when Meghan’s relationship with Harry first became public. In 2017, Fox ordered a single-camera sitcom co-produced by Engelson that just so happened to be about a divorced couple co-parenting their child after the wife up and marries a British prince. Wow, what an original premise. Wonder where he got that idea. The project was subsequently dropped right around Meghan and Harry’s Windsor nuptials. As for Engelson, he is set to marry dietician Tracey Kurland in May, just as his ex-wife and her British prince charming celebrate their one year anniversary.